Hosting your business or personal website has become easier nowadays. Many companies provide lucrative offers and discounts to host your web site. The web hosting companies play a pivotal role for your website to get highlighted. This helps your website to have more traffic. It increases your revenue as the numbers of visitors grow. But the challenge lies in choosing the right hosting company. There are many factors you will have to consider before signing up your domain with the provider. This article will provide you with the factors that will help you in choosing the right webhosting company. Firstly, you need to know the purpose of hosting your website. Is it for business? Is it for your personal presence on the internet? How much traffic you expect towards the site? Is there any special software required? Is there any storage space required? You need to know the needs before you host the website. 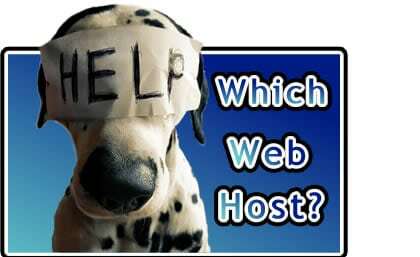 This will help you in choosing the right hosting provider as per your needs. Once you know your needs, you will need to see how much of an uptime is required for your site. Business sites require a 100% uptime. Personal sites need not require the same availability. The availability of your site helps in determining of the infrastructure. It could be a server grade high end platform. Or a simple desktop based hosting as per the availability required. The pricing also varies according to the infrastructure. The infrastructure plays a great part. It helps to minimize cost, maximize traffic as per the needs. You also need to know if your site can be shared, dedicated or be based on the cloud. Blogging sites and personal sites are usually shared. Sites for business are usually hosted using dedicated servers or VPS hosting. You will have to determine if the provider has options to upgrade your hosting services. When you choose to host your site, look for multiple hosting domains from the hosting service provider. Multiple domains help you leverage the internet. It helps you in a better way by rolling out location based services, localized reach. Having multiple domains for a single host account is cost effective than having multiple accounts for multiple domains. This also reduces the confusion and complexity. It helps maintaining various host accounts at a later stage. Do not just finalize your hosting provider for basic features offered. Check for advanced features such as automation of your websites, auto installers, FTP access, http security, SSL certificates and SEO friendly hosting. Hosting is not all about space and domain. It should help you in reaching your business out to a wider audience with added comforts. Look out for renewal and refund on the pricing policies from the service provider. Usually renewals should be cheaper. There should be a provision to change your hosting type with the addition or removing of features as per your needs. Needs change with the type and so is your website. Choose your hosting provider who allows this. Go for easy renewal or refunds without hassles in case your hosting needs are not met. One most important thing to check along with renewals is the terms and conditions towards account suspension. Some hosting services suspend your hosting accounts. Reasons include use of more CPU power, hosting space, etc. If your need is to have your web site up and running smoothly, you need to ensure the suspension of accounts is not enforced so strongly and for silly reasons. Read the terms and conditions carefully before signing up for services. Email is an important thing. Check for offers on integrated email services along with the web hosting services. In usual cases, web hosting account should have email accounts. Clients can reach out to you using the email account using the hosted domain name. Ask your hosting company about the additional charges for the emails if any. Most of the service providers provide atleast one email account along with hosting accounts. It is important to ensure that your site contents are backed up and statistics are available for your website. Choose your provider who has a periodic backup of the site contents. Look for redundancy policies and infrastructure for your critical business needs. The provider should also have an incident reporting and management system to raise concerns regarding maintenance of your web site. Check for the maintenance intervals and the down time offered by your hosting provider. Choose the provider offering shorter downtimes. The provider should have a scheduled maintenance periods and notifications sent to you. This will help you keep your clients informed about the maintenance periods. Check for the support provided and availability of 24/7 customer care from the provider. This is vital to get your website running anytime. Check for the subscription period. Some of the companies charge per month and some by yearly subscriptions. It is easy to start with a small time frame to host your site. Move towards a larger timeframe slowly as you get comfortable with the hosting service provider. Also check for the option of changing your subscription periods after you have signed off with the hosting company. Consider all these factors before choosing a right web hosting company.